Brian Kadrmas hunted the spring season on Unimak Island. Brian’s willingness to be selective and patient gave him the opportunity to hunt two different areas of Unimak during the course of his hunt. Brian hunted the black sand coastline of the North side and the spectacular rocky coastline and capes of the south side. 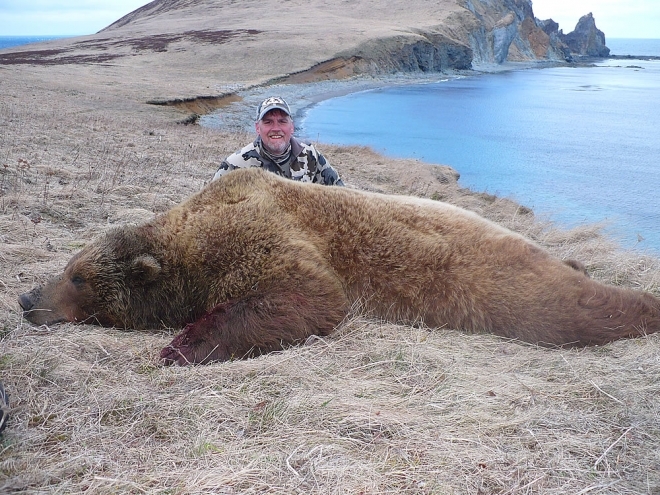 After many opportunities at trophy bears Brian chose to harvest this beautiful 9 ½’ bear. Until you have been there, one can’t imagine or appreciate the true remoteness and pristine beauty of Unimak Island National Wildlife Refuge.